Macrofossils are not common in deep-marine mudstones of the Miocene Modelo Formation in southern California. A lucky find would be a partial or complete bony fish skeleton, but these are rare. Fish scales, however, can be locally common, but a collector needs to know what they look like. Before enrolling in my paleontology class, most of my students would find a fish scale and not even know what they were looking at. The fish scales shown below are of late Miocene age and from the Modelo Formation (commonly referred to as the Monterey Formation). Each scale is about 10- to 15-mm-wide and represents a paper-thin imprint on bedding planes of mudstone. Identification as to the family or genus of fish is not a trivial process and requires very specialized knowledge. At the very least, however, their presence indicates an aquatic environment. Another late Miocene fish scale, genus different from the two shown in the photo above. There have been only a few paleontologists that have published on Miocene fish scales from southern California. The principal workers were: D. S. Jordan (published between 1900 and 1920), Lore Rose David (published during the 1940s), and Richard Pierce (published during the 1950s). I found many of these scales in some mudstone in Chino Hills along with a few other fish scales. I suspected they were fish scales, but I couldn't find any conclusive pictures until I came across your blog, so thank you for that. 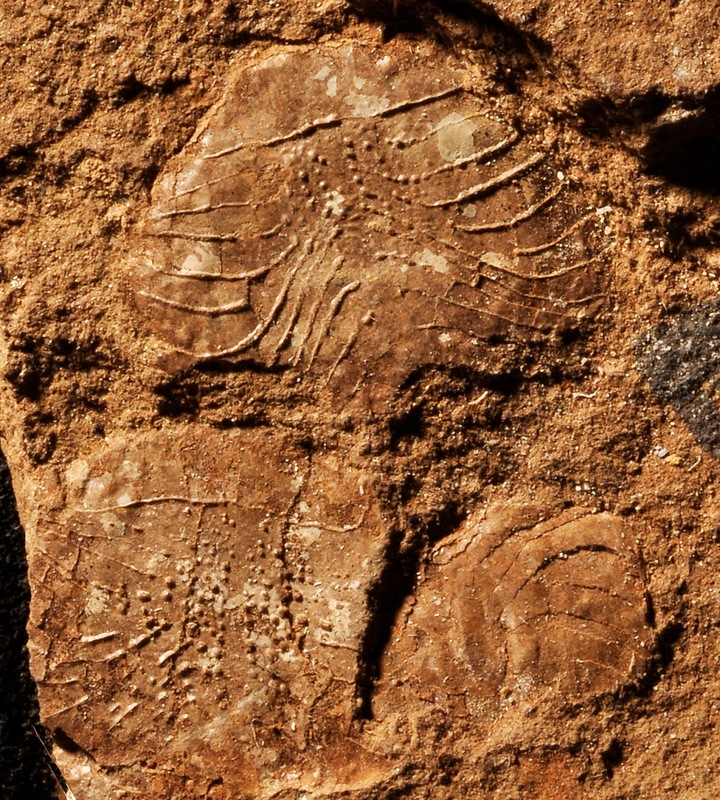 Are these fossils indicative of a deep marine environment? also can you recommend some reading relating to this environment, or how I would go about learning about these fossils? David, L. R. 1943. Miocene fishes of southern California. Geological Society of America, Special Paper no. 43, 193 pp. Thank you for asking, and I appreciate your comments.